My Buyer's Plan of Action! My objective serving you is simple and threefold: My main goal is to assist you in obtaining the best purchasing power possible for your dollar. Along with that is communicating to you on a regular basis applicable new listings that come up for sale, and assisting you in finding the right home for your needs, at the right price, in a reasonable time. Below is my way of making that happen. Prequalify you for a purchase in your price range. Do an initial search of existing homes for sale that meet your needs. Create a "Computerized Automatic Buyer Search Program" customized specifically your needs should you wish. E-mails are sent immediately. Research all For Sale by Owners, expired and cancelled listings for additional potential matches. Broadcast your needs and wants at our office meetings to identify any new inventory first. We have a total of 57 Salespeople. Eliminate any properties that do not meet your needs. Personally DOOR KNOCK the neighbourhoods you are focusing on to identify any possible Sellers not on the market. Create the purchase contract and arrange for it to be presented. Represent you on all offer presentations to ensure negotiation of the best possible price and terms. Provide you with a list of all potential Closing Costs. Assist you in arranging financing, appraisals, inspections, and walk throughs as needed. Provide a list of qualified tradespeople to assist you in the buying process when necessary (well & septic inspection, rodent/pest, energy audit, WETT Certification, Air Quality, Mould, Roof, etc). Supervise the completion of all paperwork and send to lawyer and mortgage advisor on your behalf. 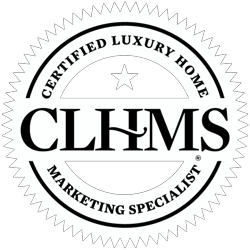 I will always be available for you to provide you exceptional customer service so that you will want to tell your friends about your great real estate experience. Your communication.... direct any inquiries you have to me, and I will respond in a timely manner. You make an honest effort to have availability for showings.